Best user experience Draw Something helper! Helps you save money and time. 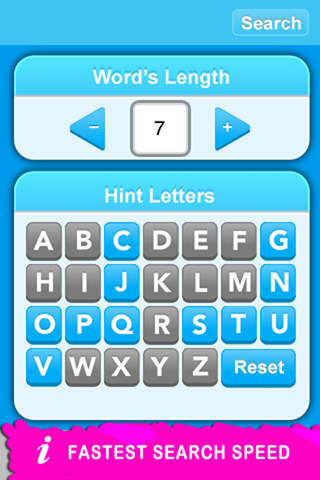 ***PS: This app is avialable to search double letter word, WITHOUT input the same letter twice. ***For exp,  input "E & L" you will get "EEL"
Get it FREE during limited time NOW! This app has a 4.0 star rating (28 ratings). It occupies the 397750th position in our ranking with 49 points. It is among the 25% best ones of its category and among the 25% best ones of the overall top. Draw Helper - Improve your drawing!